As an abstract painter, I aim to confuse the space in what could be landscape, still lives, or action shots, all at once. At the same time, moments of recognizability offer hints to the specific details, which bring the viewer back into our world. I like to think of my process as describing location with verbs. 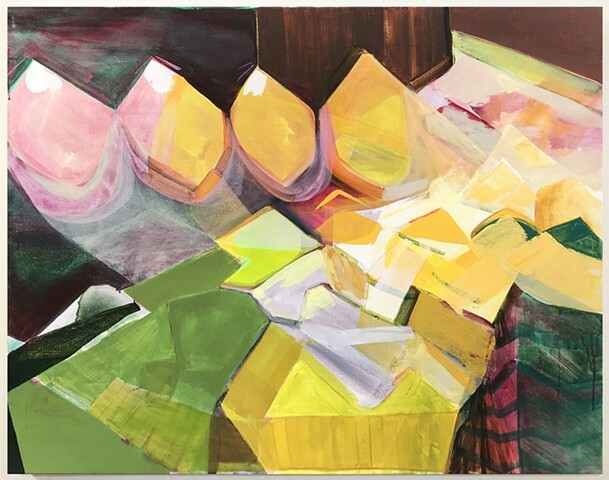 Rather than starting with a landscape in mind, I set up a combination of space, gesture and weight, and push the tension by playing with variations on figure/ground relationships.